Let’s start by congratulating this term’s LCB Brewers Decorator of the Term award winner, Owen Abbishaw! 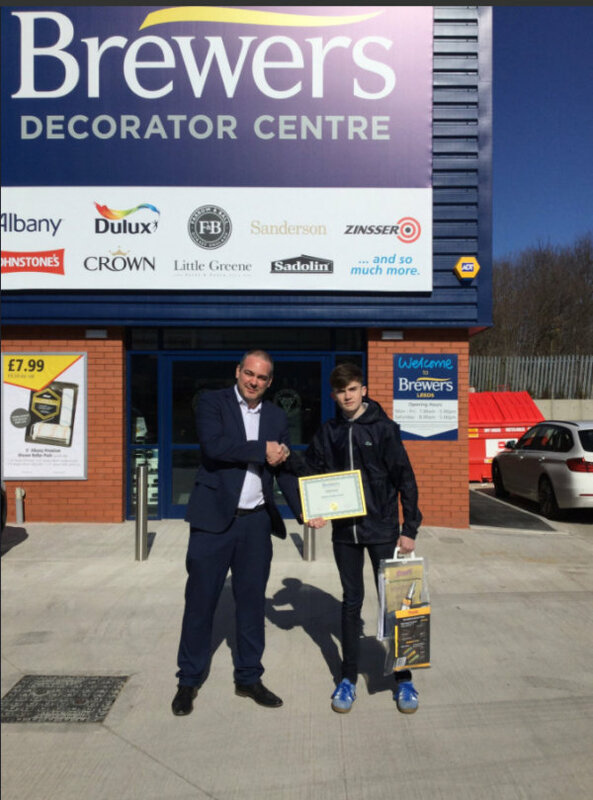 Brewers Decorator Centres have teamed up with Leeds College of Building to award one hardworking student a Brewers Decorator of the Term award each academic term. This term’s winner, Owen, has shown exceptional decorating and construction qualities and has been described as a pleasure to teach. 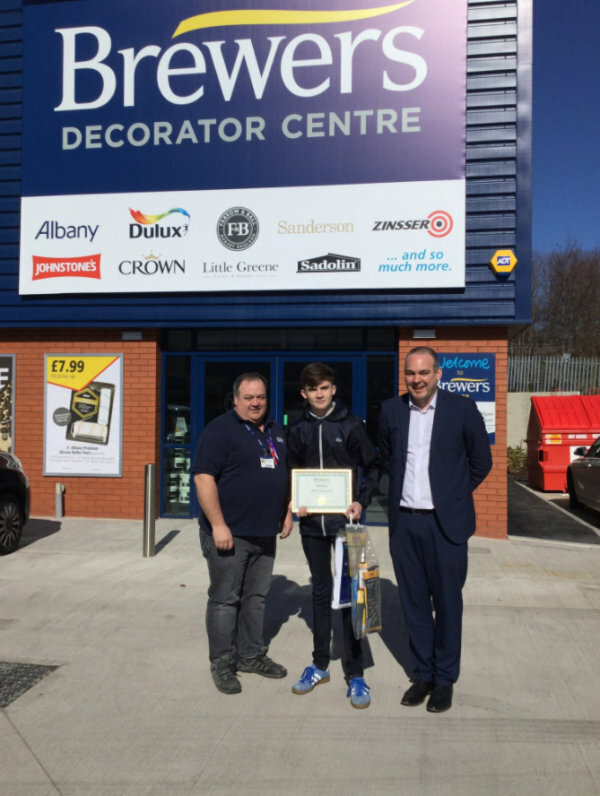 Owen was invited to Brewers Leeds to receive his certificate, alongside a pack of decorating tools, bib and brace and £50 worth of Brewers Decorator Centre vouchers. Owens tutor, Martin Parr, had this to say about Owen, “Owen who works for A & S Decorators came in late to the group but has adjusted really well in fitting in & getting to know the rest of the group, he is keen to learn & doesn't hesitate to ask questions. He has impressed with how quickly he picked up the techniques in paper-hanging. Owen passed his Principles of Building exam demonstrating a rounded knowledge of construction. Owen also has 100% attendance & timekeeping. Owen is very polite & a pleasure to teach”. Leeds College of Building, in West Yorkshire, is the only college in the UK which specialises in the construction and the built environment. The Painting and Decorating department has over 60 Level 2 & 3 Apprentices, creating links with decorating companies large and small around West Yorkshire and beyond. Students have been eager to win the Brewers Decorator of the Term Award and those that have already won are extremely proud winners. Mark Howroyd, Painting and Decorating Lecturer at Leeds College of Building said, “Leeds College of Building understand how important links with industry are to create success for students. The P&D department are proud to be working with Brewers on both the decorator of the term award and community projects, building and rewarding the students’ skills, making them a valuable asset for the future of the decorating industry”. Find out more about Leeds College of Building by visiting their website.